Making schools successful takes more than just individual effort – it takes teamwork. Schools are using teams to accomplish many tasks.. For teamwork to be successful, teams and individual team members need to have clear, shared goals; a sense of commitment; the ability to work together; mutual accountability; access to needed resources and skills; and other elements of effective teams. 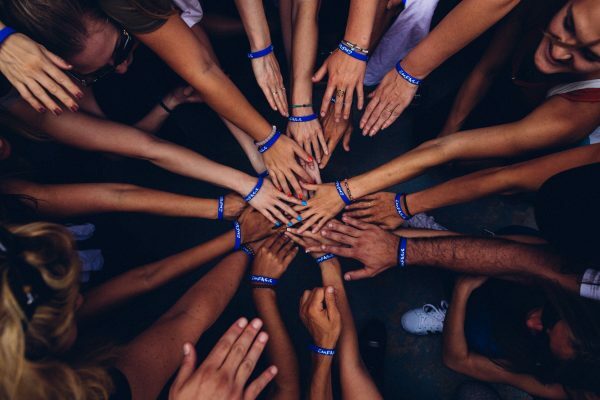 While successful teamwork can be rewarding in itself, teamwork should focus on meeting the academic and social needs of all students in the school. Just as the school vision and mission should focus on student learning, team building, team planning, and team developing should be directed toward improving student outcomes. In many schools, teachers work in isolation, administrators try to accomplish tasks alone, and the responsibility to implement new ideas falls to individuals. Working together in teams often is a more effective way to accomplish important tasks. Teams have many advantages Teams have many advantages over individuals working in isolation. Teams tend to be better at solving problems, have a higher level of commitment, and include more people who can help implement an idea or plan. Moreover, teams are able to generate energy and interest in new projects. Both research and practice demonstrate the advantages that teams bring to accomplishing goals. But effective teams do not develop by accident. Teams take time, skills, and knowledge to be successful. This workshop will allow participants the opportunity to examine not only the characteristics of an effective team, but, also how their behaviour can influence the success of the identified outcomes for the team. What really is a team? Why bother with them anyway? Do teams have developmental stages too? What are the building blocks of effective teams? I help organisations and individuals realise their fullest potential with a unique approach to education and training.